In our nation's drug overdose crisis, a crisis that shows no sign of slowing, the U.S. Surgeon General's office estimates more than 20 million people in our country have a substance use disorder. One other thing this epidemic has made painfully apparent is that, by all accounts, there are not nearly enough physicians in this country specializing in treating addiction to address the problem. What is clear to public health officials is that we will not stop this epidemic until we fill this gap with enough doctors on the ground who know how to respond. "Even 10 years ago, I couldn't find a medical student or resident interested in learning about addiction medicine if I looked under a rock. They were just not out there," Dr. Anna Lembke, medical director of Addiction Medicine at Stanford University School of Medicine and a longtime researcher in the field, tells NBC. In a recent opinion piece published in JAMA and co-authored by Harvard T.H. Chan School of Public Health's Tyler VanderWeele, a case is made as to why clinicians and public health experts need to start focusing on the concept of "flourishing," which can be defined as vigorous and healthy growth, when examining patients and making assessments. VanderWeele and his colleagues believe that asking questions related to human flourishing can inform and refine many complex issues for patients facing treatment decisions and has the potential to capture a picture of health more broadly than existing measures. In addition, they believe the concept can potentially guide clinicians in assessing their own personal well-being in an effort toward delivering better patient-centered care. In pursuit of this goal, researchers have recently developed a "flourishing index" consisting of six domains that account for qualities such as happiness, financial stability and mental and physical health, among other factors. It is hoped that this shift in focus will have eventually wide applications for the patient as well as society at large. Researchers are already examining how employers might use measurements of flourishing to help assess and improve employee well-being. As pointed out in a new study published in The Lancet, in 2017, poor diet was associated with 1 in 5 deaths worldwide. That's equivalent to 11 million deaths a year; unhealthy eating habits are responsible for more deaths than tobacco and high blood pressure. 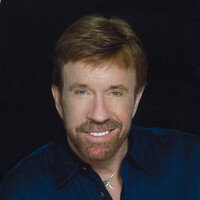 Write to Chuck Norris ([email protected]) with your questions about health and fitness. Follow Chuck Norris through his official social media sites, on Twitter @ChuckNorris and on Facebook at the "Official Chuck Norris Page." He blogs at http://chucknorrisnews.blogspot.com. To find out more about Chuck Norris and read features by other Creators Syndicate writers and cartoonists, visit the Creators Syndicate website at www.creators.com.